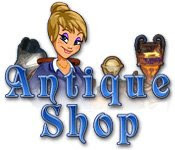 Open Antique Shops all over the world and earn enough money to finance an archaeological expedition to Greece! Purchase new items to sell in your shop and use store upgrades to improve the customer`s experience. Plan out your trip and purchase the necessities as you earn huge profits in this fun Time Management game.